Thank you 2018 Volunteers. Stay Tuned for 2019! Thank you to all the volunteers who give their time to help out on this great festival. Without your support this event couldn’t happen. 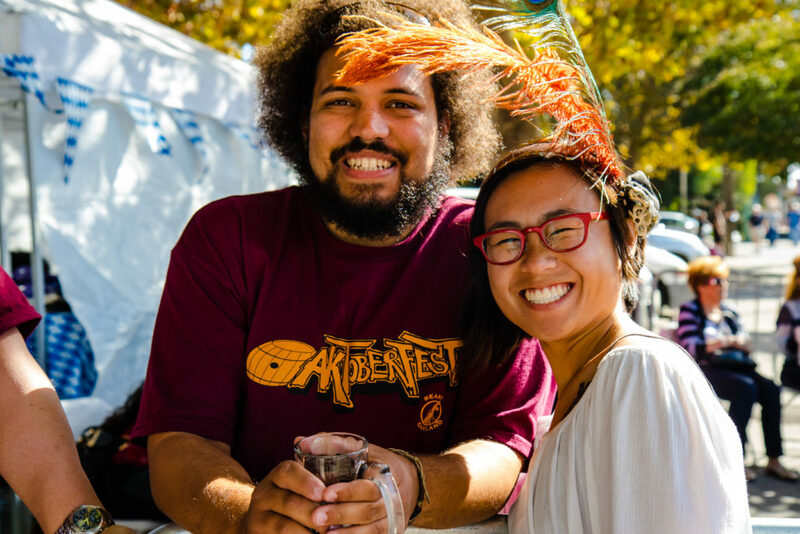 Oaktoberfest 2018 will be 2-Days! And we need all the volunteers we can get to produce this milestone event! Please click the link below to fill out the volunteer form. Oaktoberfest celebrates the proud history of the Dimond district and to raise funds for improvement projects, community development programs, and future events. The Dimond relies on committed volunteers and the generosity of area residents and businesses to build community and ensure a vital and safe neighborhood. Your support for this non-profit event will create positive change in the community and you will have fun in the process! This is a great way to meet other involved neighbors! Volunteers at this fundraiser festival allow for a year round investment into the community. Sing ups available soon for the 11th Annual Oaktoberfest, please check back. We look forward to working with you and enjoying Oaktoberfest September 29th – September 30th. Once you are signed up, you will be contacted by our volunteer coordinator who will give you check-in and assignment details as the event date approaches.